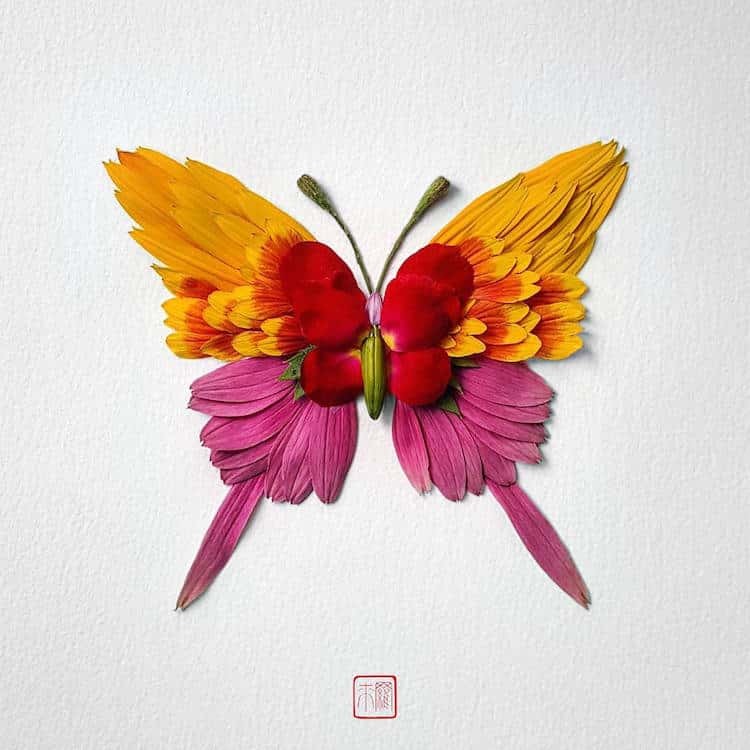 These beautiful flower sculptures that you’re about to see in the gallery are work by Montreal-based artist Raku Inoue. 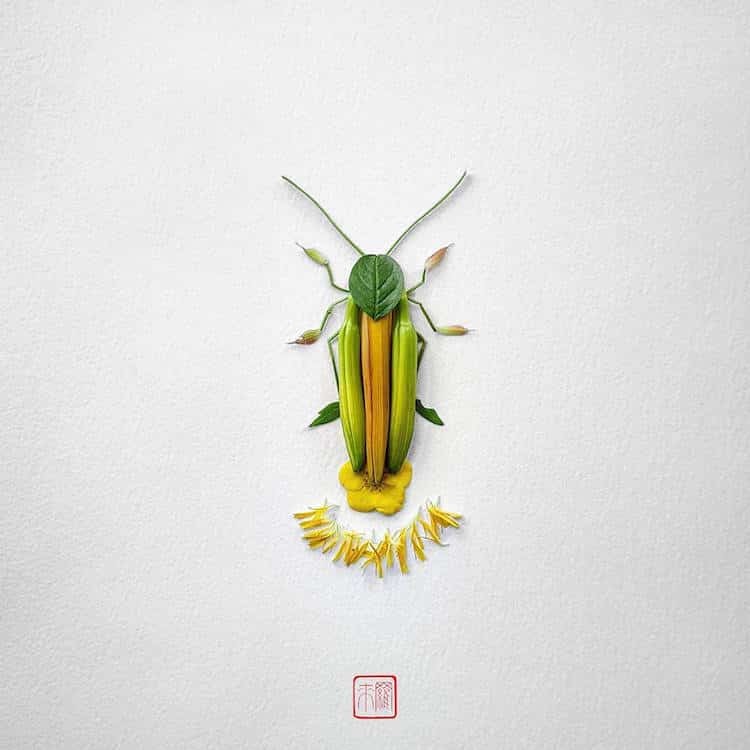 This series of artworks is called Natura Insects, cause all of the sculptures made of flowers are in the shape of various kinds of bugs and other insects. 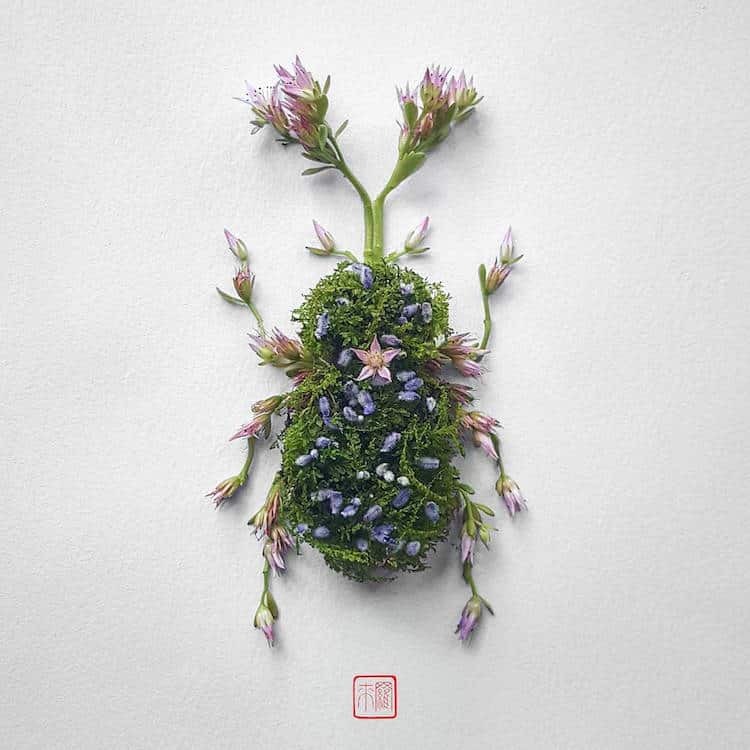 Raku picks colorful fresh blooms of various flowers and arranges them with a great amount of delicacy into beautiful sculptures. 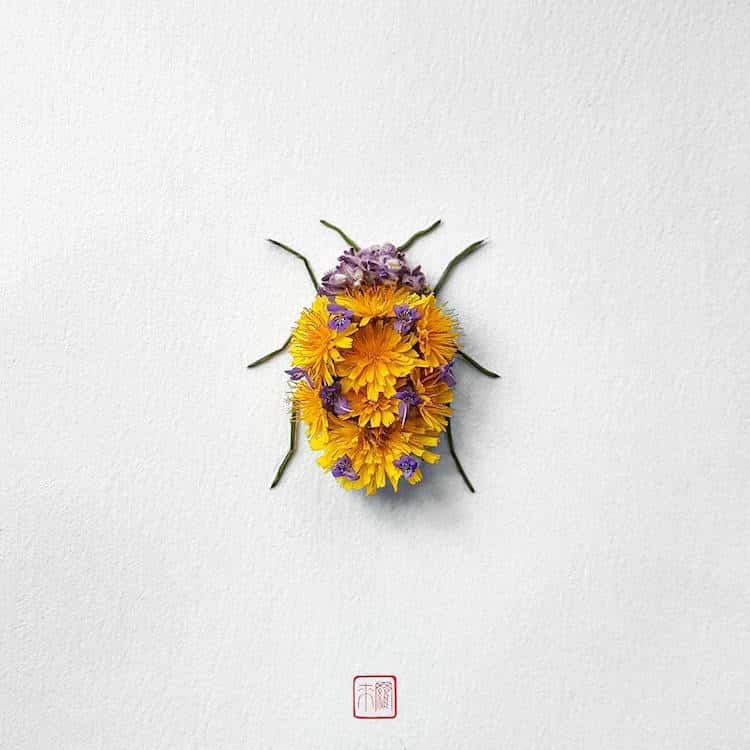 Natura Insects features 9 types of bugs, including delicate beetles, a radiant ladybug, and a beautiful butterfly. 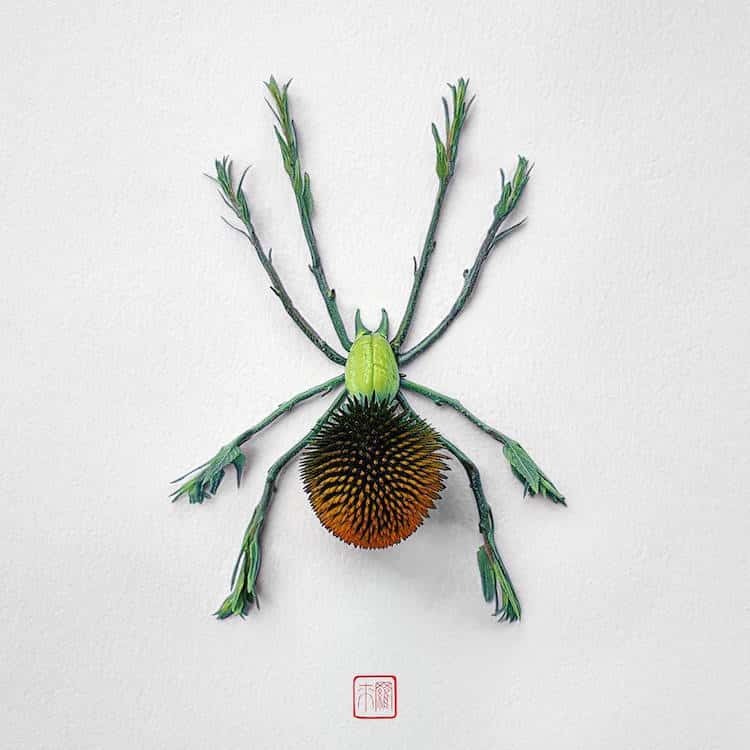 You can check them all out by scrolling down the gallery along with names of particular insect that a sculpture represent. 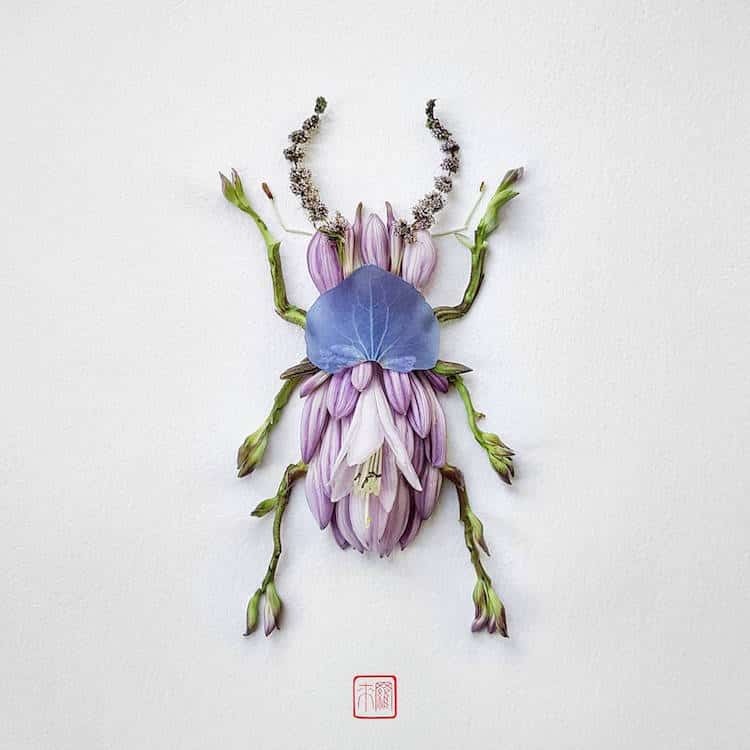 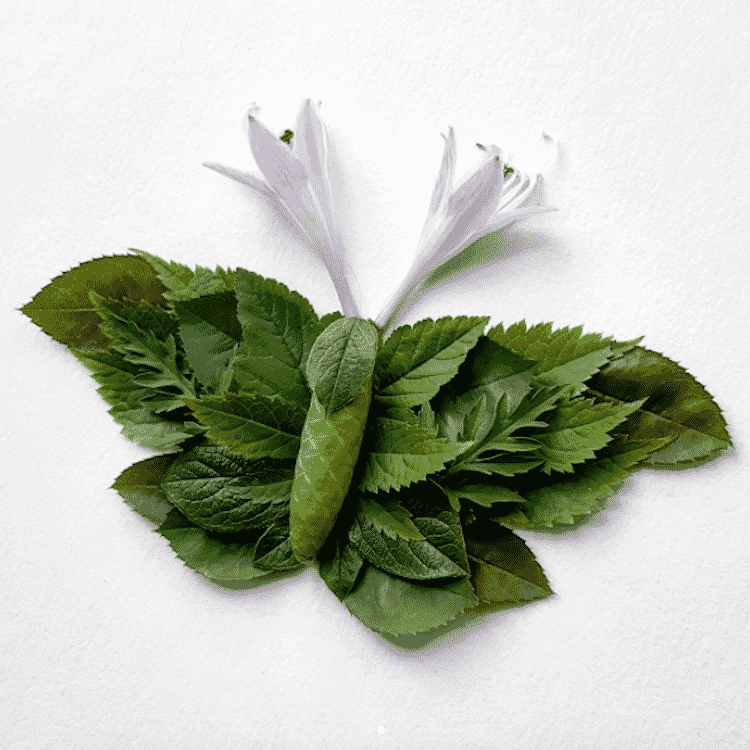 You’ll just love how he uses different parts of a plant to create particular body parts of the insect; green petals for the legs, for example, and vibrant colored leaves and blooms to emphasize other parts of the insect’s body. 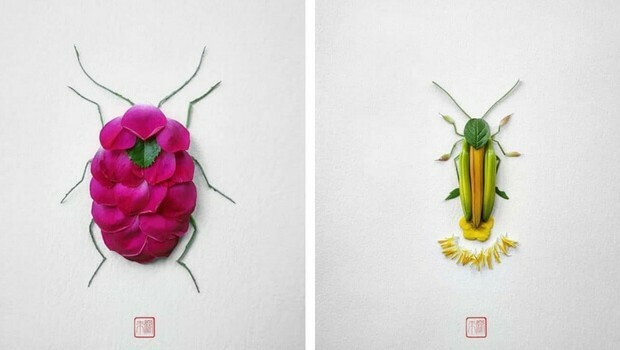 The result is pretty intriguing. 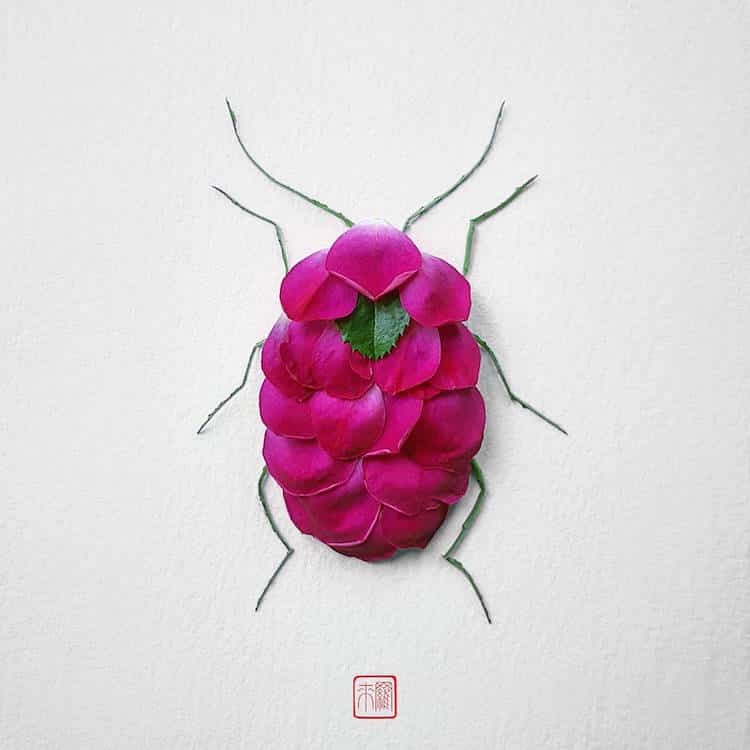 I think that most of you will agree that while we are looking at real bugs and other insects we have some kind of unpleasant feeling connected with the way they crawl, but when we look at the Raku’s sculptures that feeling is gone completely and we are able to observe insects as unique and aesthetically fascinating creatures. 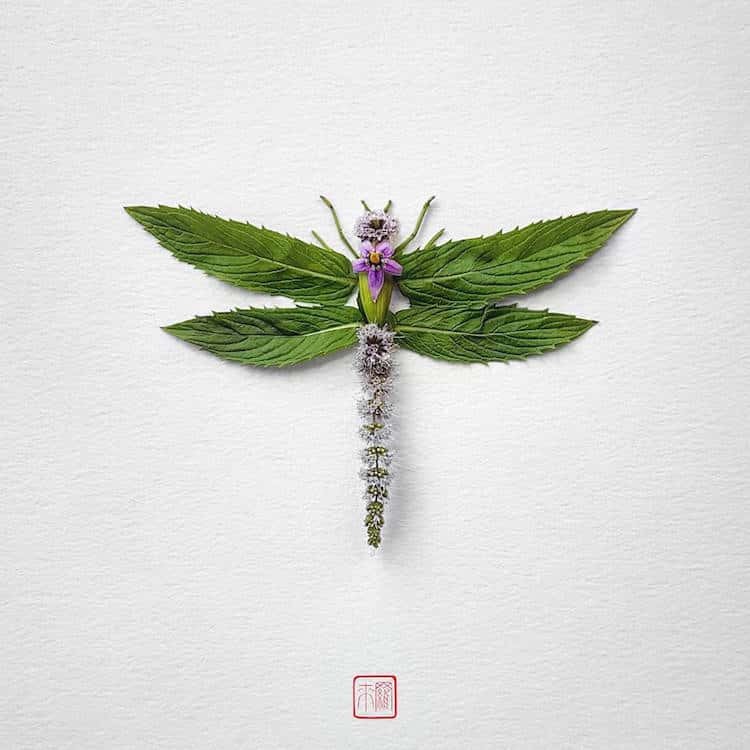 Take your time to enjoy the gallery of Natura Insects and if you get interested in the artist work, make sure to follow him on Instagram. 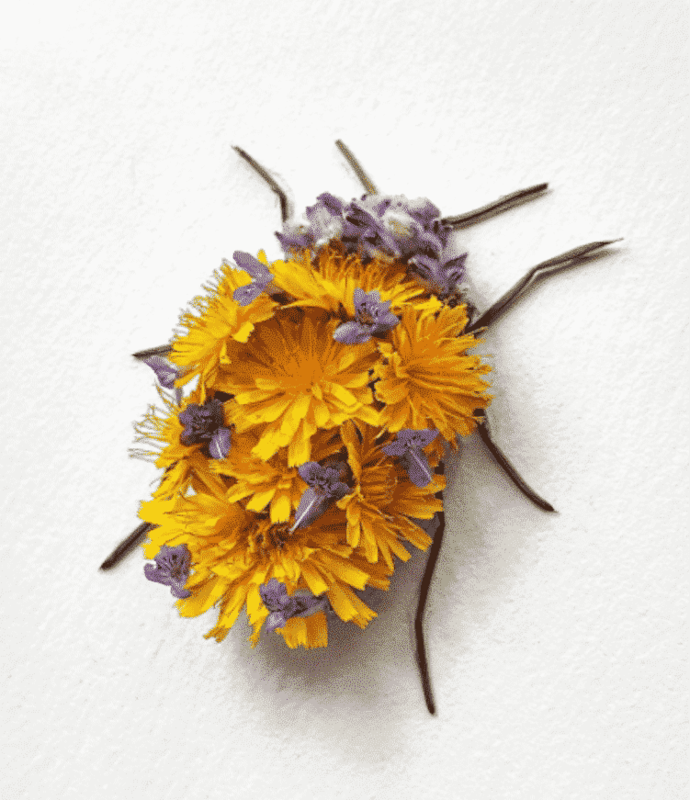 This is not the only unusual medium he uses for his artworks.